As serious as gum disease is, there are still steps to be taken in the early stages to reverse to successfully manage the disease. Without these steps however, you could eventually suffer from tooth loss and a number of uncomfortable symptoms. 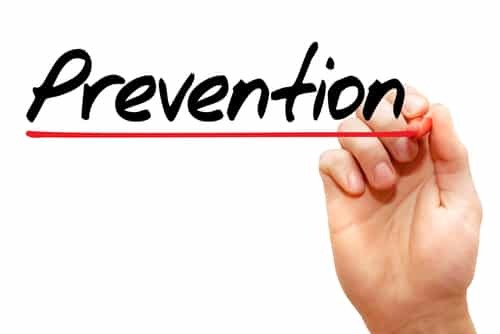 Do you need preventive services? What can you do to treat the disease in these early stages? What are the Warning Signs of Trouble? If you experience one or more of these symptoms then talk to your periodontist about possible treatment or preventive measures. What are My Preventive Options? SPT: Supportive periodontal maintenance is essentially a dental cleaning but for patients who already have the disease. The procedure involves removing plaque from the surface of the roots, crown, between the teeth, or under the gums. The treatment may be necessary every three months. Scaling and Root Planing: A deep cleaning is recommended for those who have a high risk of developing the disease and need more than a simple dental cleaning. The ultrasonic scaler uses vibrations to remove plaque buildup from the crown and exposed roots. Doing so can help reduce gum inflammation and allow healthy gums to attach to the teeth. Ozone Therapy: In the past, this was used a sterilization method. We can use it to neutralize harmful oral bacteria, combating both gingivitis and the early stages of gum disease. If you have any questions about our preventive services then please contact our office today.